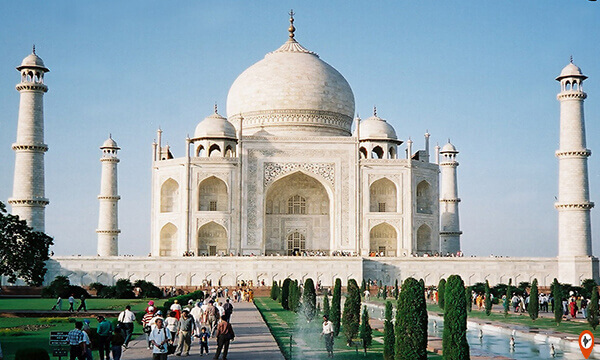 Agra is one of the influential city from the Mughal period to present time in India. 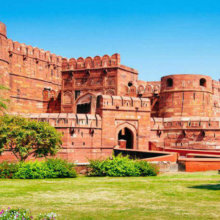 It is situated on the bank of the Yamuna river and globally remarkable for its incredible masterpiece ‘Taj Mahal’ one of the seven wonders of the World. This is one of the MUST VISIT site for all the visitors, at least once in their lifetime. 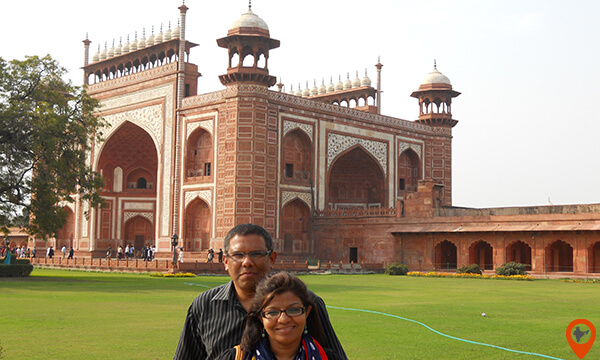 Not only Taj Mahal, It has numerous more places to explore like Agra Fort, Akbar’s Tomb, Fatehpur Sikri, Etmad-ud-daulah and much more. 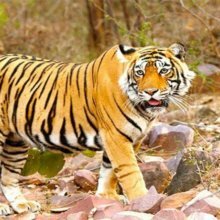 Indiator offers the number of short or multi-days tour packages some of them are Sightseeing , Holiday , Taj Mahal Tour , trip , day tour. 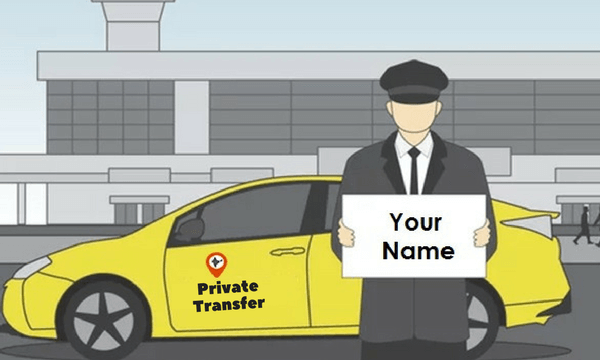 Go for customized, economical and best trip packages with Indiator and revel in your trip and make it a memorable one. 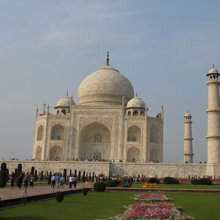 It is one of the iconic destinations for visitors in India visited by the sightseers from all over the world due to its unique masterpiece monument of love named as Taj Mahal. 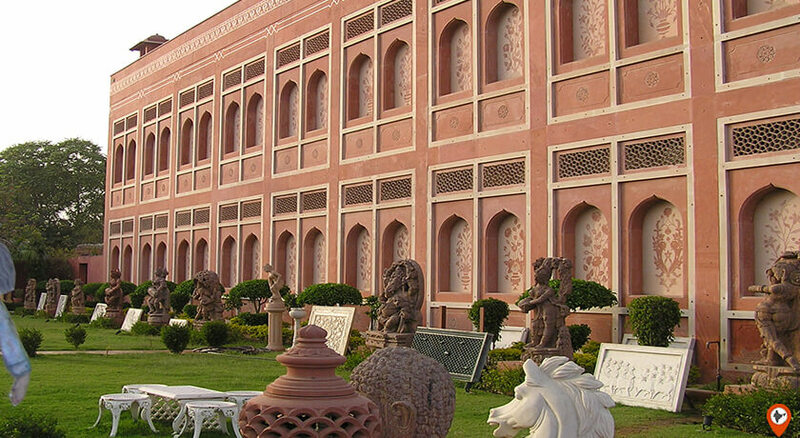 Also known for its other handicrafts, marble items, and leather goods. 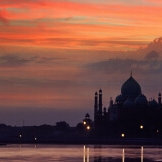 The city is situated on the shore of the Yamuna river and placed at a distance of around 200 Km from the capital city i.e. New Delhi. Even it was mentioned in the Mahabharat as the name Agraban forest near Mathura. In the year 1475, Badal Singh found the city and Sikander Lodhi made the city as the capital city of his kingdom. which was later taken over by Babur after defeating the Lodhis. And after that, it remains the capital of Mughals till the British ruled over here. And after that, it remains the capital of Mughals till the British ruled over here. The best time to visit is between November to March, when the weather is very pleasant and cold. Between April-October the weather is very hot and humid. Although, here people are very fond of food, especially the street food or spicy food. Still, the most popular food is Mughlai Food, Bedhai And Kachori, Chaat, Dalmoth, Parantha, and Petha a very popular sweet dish. Here people lives according to the modern and fast growing India in terms attire, living standard, and education, but rooted in conventional Indian values. Here people wear simple attire, mostly colorful saris, Dhoti-Kurta, Kurta-pajama, and Salwar suit. 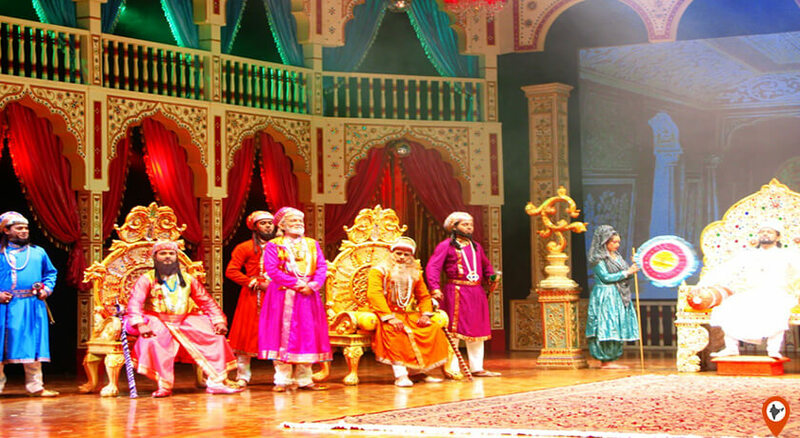 They celebrate almost all the Indian festivals and also conduct events like Taj Mahotsava. 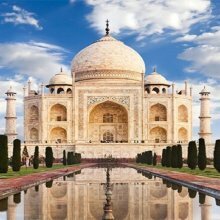 Yes, it’s true that the list of places to visit in India is incomplete without exploring the monument of love and affection like Taj Mahal. 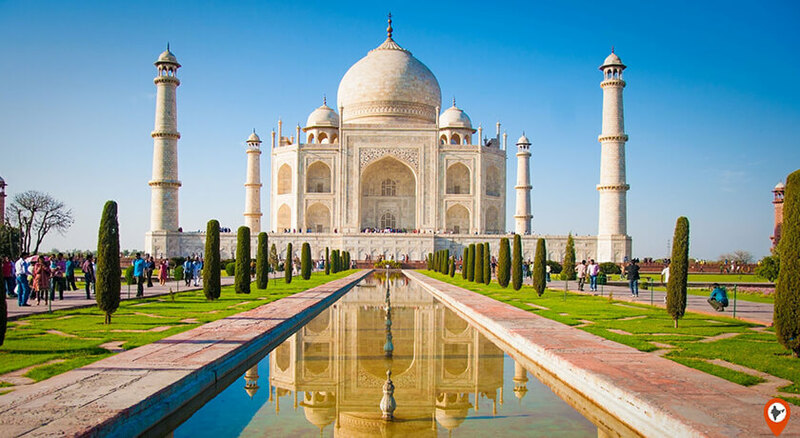 Here, we are taking you to the magnificent monument like Taj Mahal and the other brilliant places which faded away from their recognition due to the high propaganda of Taj Mahal. 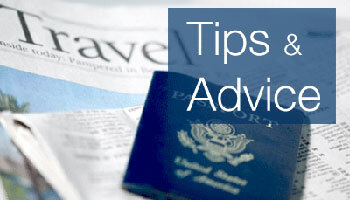 Here, is the list of top things to do in Agra. 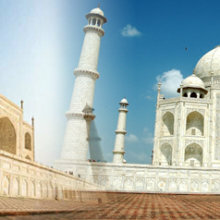 Taj Mahal is the most prominent name among all tourist places not only in Agra but all over the country. 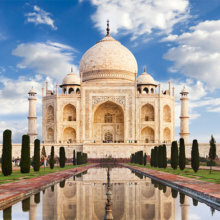 The Taj Mahal is one of the Seven Wonders of the World built by Shahjahan in the reminiscence of his lady love. This masterpiece was constructed by around 20,000 of craftsmen and artisans under the supervision of the main architect named Ustad Ahmed Lahuari and it was completed in 21 years. 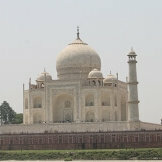 This monument visit is the MUST GO things to do in Agra. 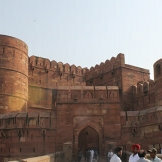 Red Fort is the most visited place after Taj Mahal in Agra. This gargantuan Fort was once used by the Mughals as their residence and also as a treasure house of their precious things. 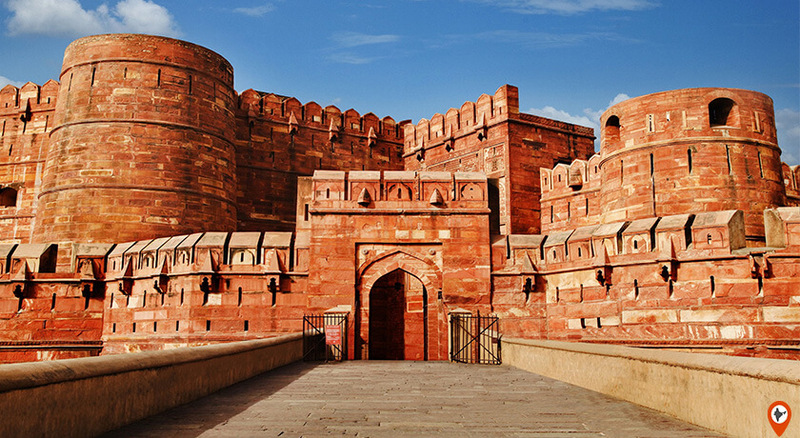 Red Fort houses numerous beautify architect buildings like the Diwan-i-Khas used by the king for personal meetings with their ministers, Diwan-i-Aam for public hearings, Moti Masjid for offering prayers, several palaces for his queens and other imperial persons and much more. 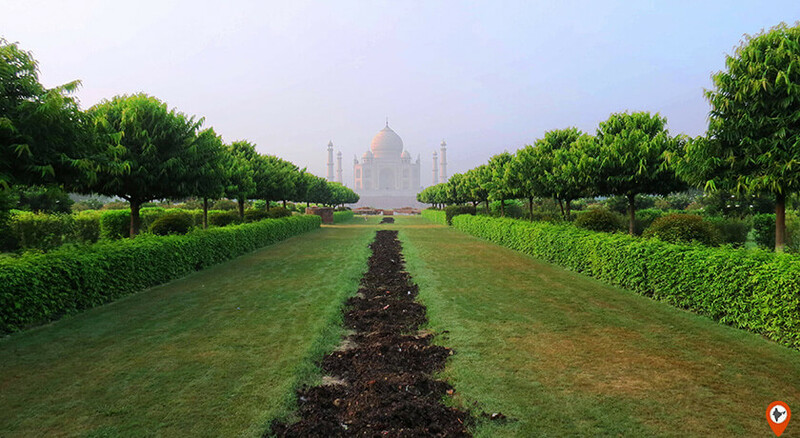 This is a beautiful garden built by Babur on the bank of the river Yamuna and from here, you get the perfect view of the Taj Mahal. This garden comprises two other gardens, four sandstone towers, one large pond and a small tank amidst of the garden. 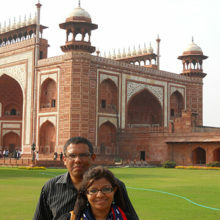 Fatehpur Sikri placed at a distance of around 37Km from Agra well known for the tomb of Saint Sheikh Salim Chisti, Buland Darwaza the highest gateway in the world i.e. 40.84 meters high. 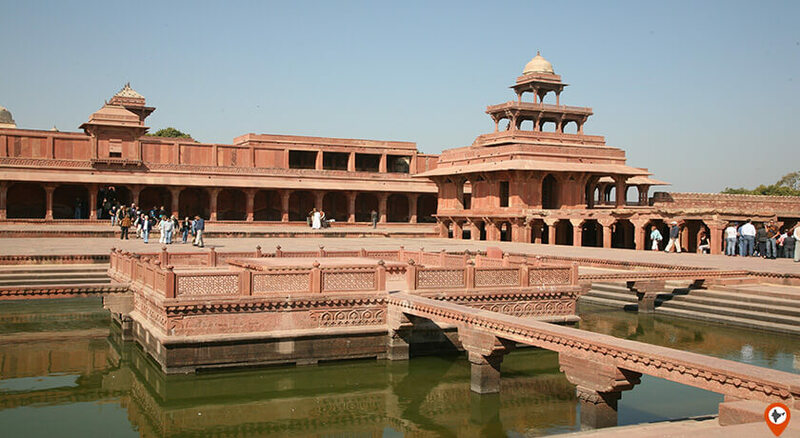 Panch Mahal also placed in Fatehpur Sikri, this five-storey palace is known as the wind catcher tower. 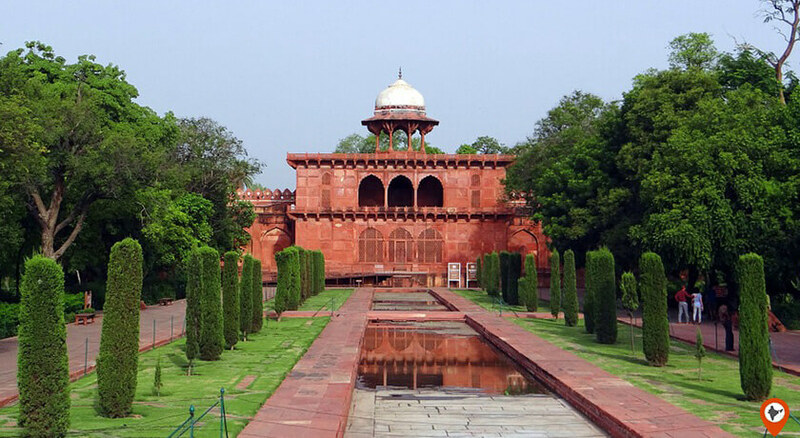 Fatehpur Sikri also has some more influential buildings like Mariam-uz-zaman’s palace, Birbal’s House, Naubat Khana, Ibadat Khana, and Anup Talao. 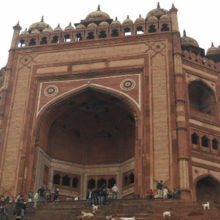 Fatehpur Sikri is one of the most visited places in the city. 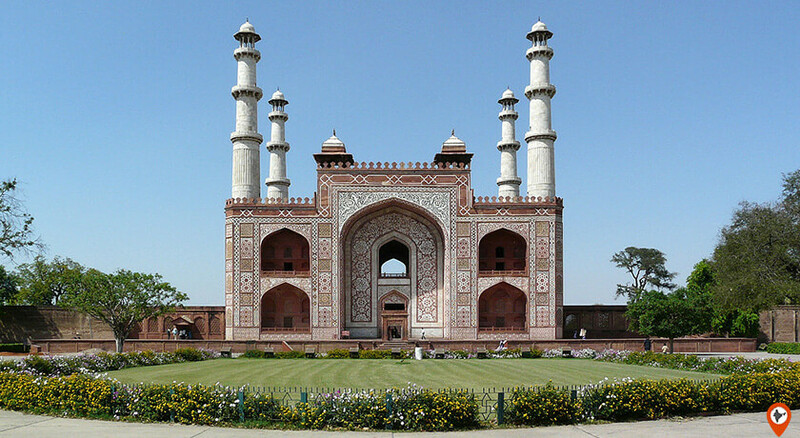 This monument houses the tomb of King Akbar and one of the finest examples of Mughal architecture. Taj Museum is inside the complex of the Taj Mahal exhibits the Royal Jewellery, artifacts, paintings, drawings of Taj Mahal, which clearly shows the accuracy and precision of the architecture, Mughal manuscripts, decorative wooden frames and portraits of Shah Jahan and Mumtaz Mahal. 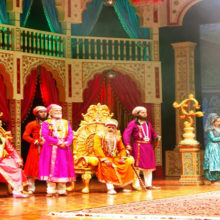 This centre offers the visitors to have a look of Indian art and culture, intricate inlay work on marble, shops to purchase handicrafts items of wood, metal, marble and thread, and the most dominantly it presents the musical show called Mohabbat The Taj show depicts the life of the Mughals and the love life of Shahjahan and Mumtaz. 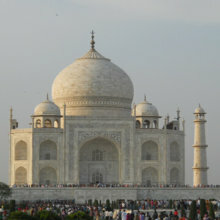 Apart from all these things to do, Agra offers so many other special activities and cuisine to enjoy. 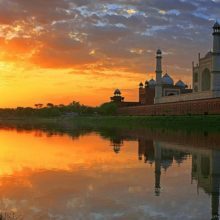 As well as monuments, Agra has several other top attractions in Agra which give you the unique experience to visit this city. 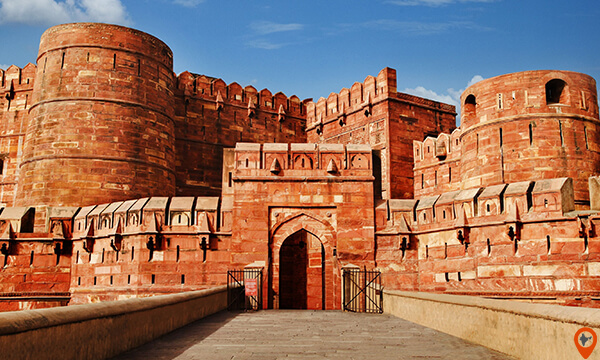 First, we talk about monuments, Agra is spruced up with world heritage sites like incredible Taj Mahal, gargantuan Red Fort, and splendid Fatehpur Sikri. 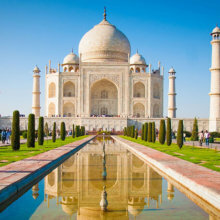 After monuments, Agra has several art & cultural events and celebrations named as, Taj Mahotsav it is a 10-day festival held in winters in Agra and based on various themes related to art, crafts, and culture of India. In this event, people come from across the country with their expert displays of work. 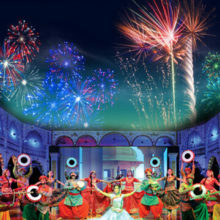 This festival also includes Indian cuisine, fun fair, exciting games and fun rides, and the Kalakriti Cultural Convention Centre, which portray the story of the ShahJahan, Mumtaz Mahal and their Taj Mahal through 80 minutes light and sound show. This city is also famous for its authentic Indian cuisine like Mughlai cuisine, Bedai Kachori, Petha, and Dalmoth. 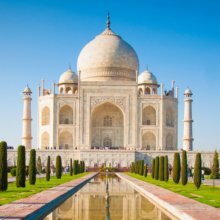 Agra offers the best kind of marble handicraft work, handmade rugs and carpets, leather shoes and other art and craft shops. Sadar Bazaar is the major shopping area in the city. It offers the best kind of marble handicraft work, handmade rugs and carpets, leather shoes and other art and craft shops. Sadar Bazaar is the major shopping area in this city.